Innoluce, the leading innovator and supplier of MEMS based miniature laser scanning technology and products, has realized single shot detection of up to 250 meter with an angular resolution smaller than 0.1° in broad daylight conditions, as result of on-going LIDAR projects with automotive Tier 1s. With these results, MEMS mirror laser scanning is now a real option to enable long range, high resolution and solid state automotive LIDAR for a price point below $100. With the fast adoption of ADAS and autonomous driving, small and affordable LIDAR sensors are required to enable this multi billion dollar market opportunity. Together with camera and radar, LIDAR will be a core technology to sense the environment around a car. MEMS mirror laser scanning is acknowledged as an alternative to flash and optical phased arrays in the transmitting part of a solid state LIDAR, outperforming these technologies on range and resolution, and with more than 95% efficiency of the laser power. As signal processing and averaging techniques are not required to achieve long range, a very high resolution and frame rate is achieved. The accurate single shot raw data allows for a unique and highly transparent LIDAR object detection and tracking process. MEMS technology has already been incorporated and established in the automotive industry for many years. Innoluce's solid state MEMS mirrors are built from silicon, enabling millimeter sized mirrors. The MEMS mirror technology of Innoluce meets the highly demanding automotive requirements on temperature and vibrations. Temperature stability tests show less than 0.5% frequency change over the full automotive operating temperature range. Even in the the most severe vibration tests, the frequency variation remains below 0.5%. 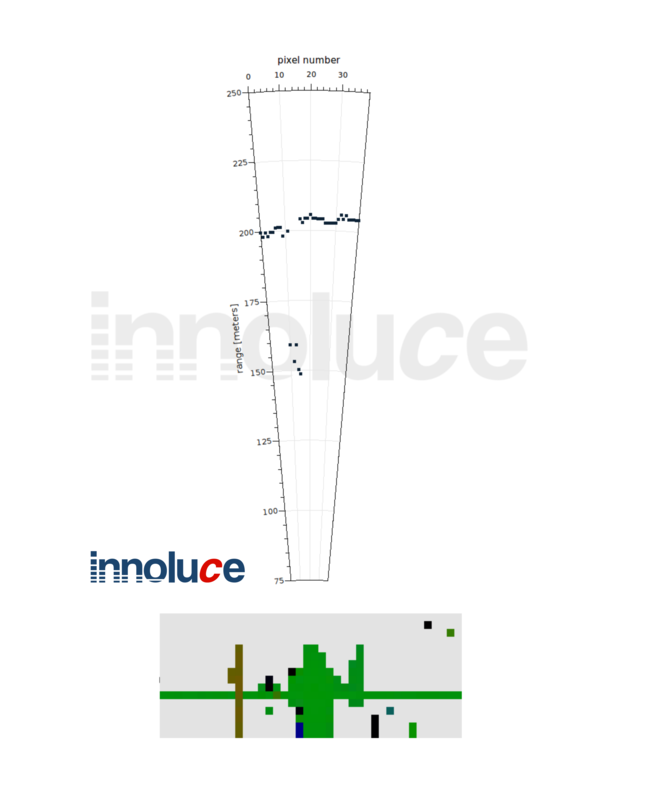 Innoluce, founded in 2010 as an entrepreneurial spin-off of Royal Philips, is a leading innovator and supplier of miniature laser scanning modules based on a technology platform incorporating both fast and slow MEMS mirrors and a controlling ASIC. The core of the laser scanning module is a patented resonant single axis Micro Electro Mechanical System (MEMS) mirror, providing unmatched accuracy and robustness.